When you start with a completely stripped and primed shell, it sure makes things easier. Once all the panels had been straightened, inside and out and top to bottom, the panels that could be seen were block sanded, first with 220 and then with 360 grit paper. Once we got rolling, our bodywork really started to fly. When you start with a completely stripped and primed shell, it sure makes things easier. Our ace body man, Tom Prescott, lovingly straightened out all the remaining little dents and filled and sanded our Mini Cooper S, getting the little car ready for paint. Again, as we knew exactly what we were starting from, there were no surprises, but still, even a little car takes a lot of work to make perfect. This process is always done with various size blocks. Eastwood sells a great block sanding set for the home user. This is to keep every panel perfectly flat. 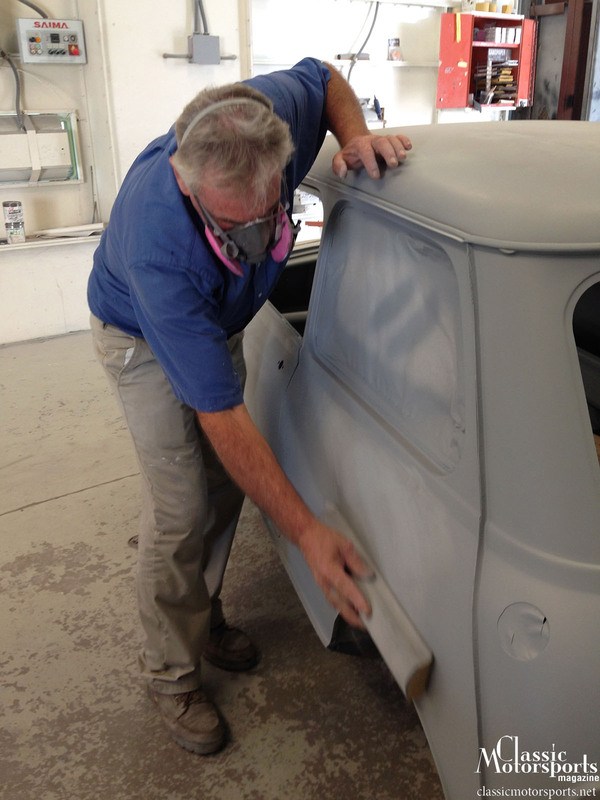 Imperfections that you can’t see in primer are quickly evident when you apply glossy paint. 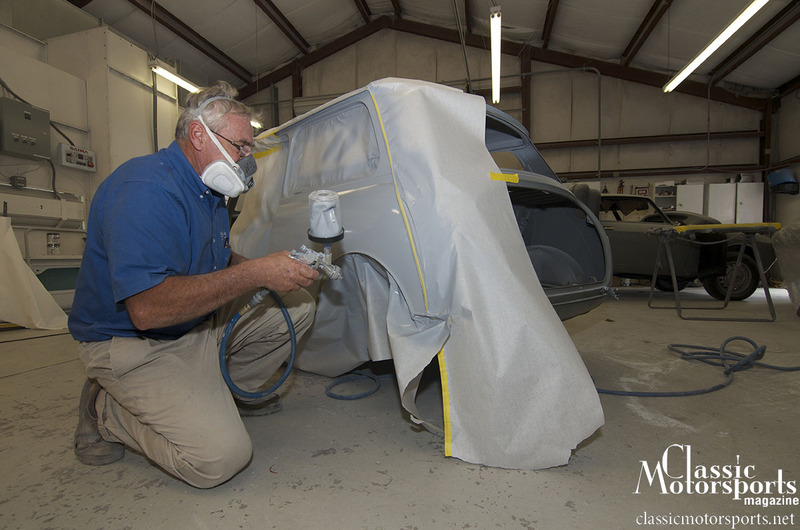 Even though high fill primer can fill 220 grit sanding marks, Our man Prescott likes to take the time to go back over every panel with finer 360 grit paper, to assure the car comes out perfect. We will detail the entire process with photos and expert tips in an upcoming issue of Classic Motorsports. Subscribe today and make sure you don’t miss this issue.